Walking into San Churros, the vibe was quite relaxed and pleasant. We shared the new Classic Fondue for Two, which comprised of melted milk chocolate fondue served with mini churros, chocolate nut brownie, banana, strawberries, white nougat, salted caramel macarons, pretzels and marshmallows ($24.95). The night before I was flicking through channels on TV, and I came across this tourist guy in Switzerland, dipping a giant strawberry in chocolate fondue and relishing at how delicious it tasted. “Mmm…mmm…” Ok, I get your point, Mister! Of course, it instantly made me jealous! So I just had to get it. Good B agreed to the shared fondue. For those of you who have never experienced fondue (mind you, you are missing out), it was originally a Swiss dish of melted cheese served in a caquelon (communal pot) over a portable stove called a réchaud, and eaten by dipping long-stemmed forks with bread into the cheese. The term fondue derives from the French verb fondre, meaning “to melt.” Believe it or not, fondue was a classic peasant dish. In Western society, fondue has been generalised to other dishes in which small pieces of food, often fruit or sweets are dipped into a communal pot of hot liquid, usually a melted chocolate mixture. Hashtag fun! Read more on my new blog Quirky Diaries. Follow me there. 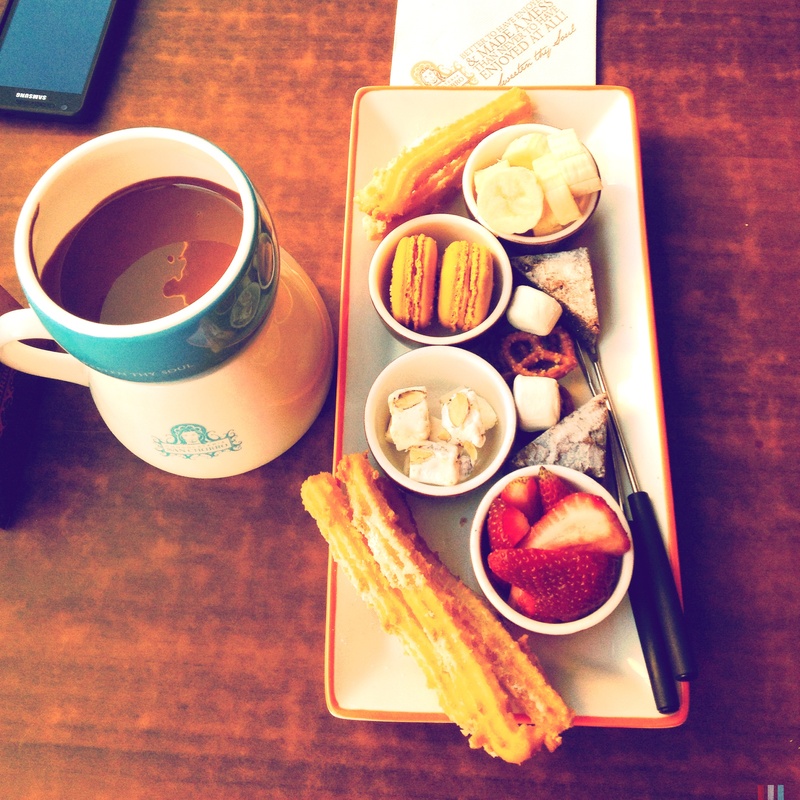 This entry was posted in Delicious days and tagged Caquelon, chocolate, Churro, delicious, Fondue, food, foodie, French verbs, fun, Parramatta, Pretzel, San Churro, Switzerland on December 8, 2013 by Donna. If I was to describe myself in a nutshell, I am a 23-year-old, who just graduated! I am someone who is full of spirit, likes to dress cute, has big dreams, and is somewhat adventurous, with quirks that make people smile. Some people have a clear direction of what path they want to follow in life. I on the other hand, have decided to simply follow what make me happy. If you've been doing a little soul searching lately or you're still trying to define the meaning of life, well I can tell you this, if you can't figure out your purpose on this planet, find what it is that you're passionate about. For your passion will lead you right into your purpose. Open your heart. Listen with an open mind. And for God's sake, live a little! 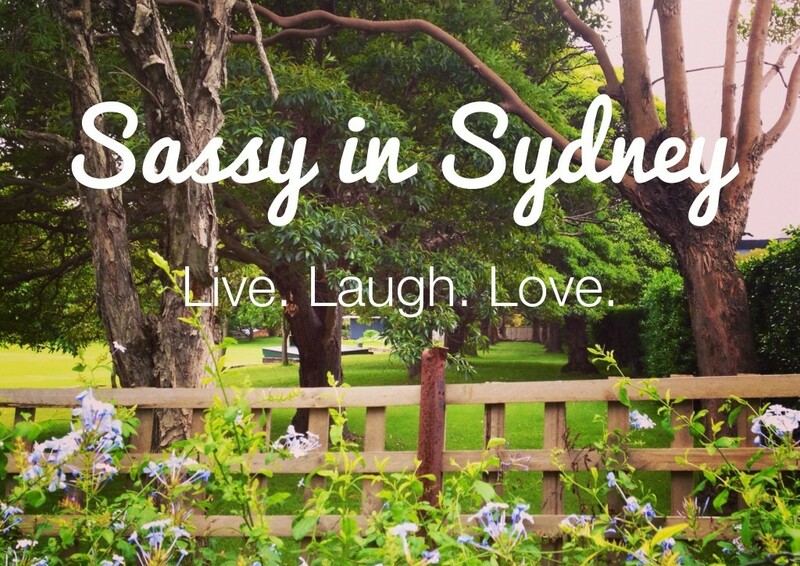 I hope you stay a while and read about my 20-something rants, antics and adventures in Sydney, and perhaps pick up a thing or two. n. Empty or subordinate space surrounding an object of perception, conceived in terms of its aesthetic effect. Forget, in the mist of idle ecstasy, Life's purposes-the palate of my mind Losing its gust, and my ambition blind! Transport yourself to your happy place where you can curl up, drink some tea, and watch the rain on the window while you read. Nails, nails, nails. What more do you need?